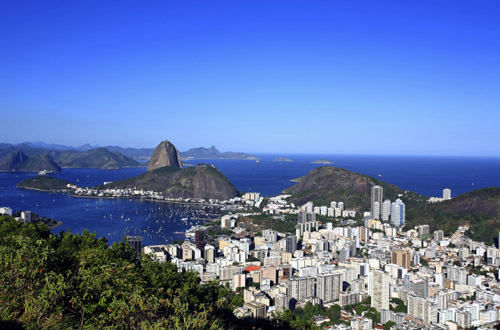 Brazil is the largest country in Latin America. 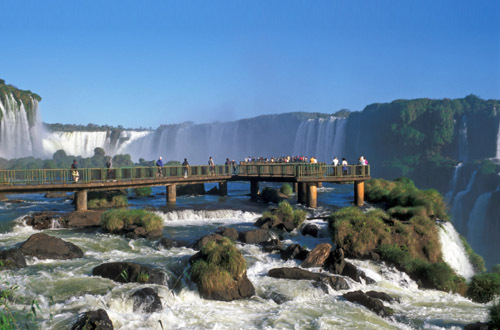 Â Brazil has the worldâ€™s biggest rainforest, the Amazon ,the worldâ€™s biggest tropical coast, with thousands of truly exceptional beaches and resorts, the one of the worldâ€™s biggest waterfalls the Iguasu Falls. Â Savor unique cities like Rio de Janeiro and Salvador da Bahia where music, exotic elements and the joy and extravagance of their people are truly remarkable and unique. Brazil is an all year round destination. Â Brazil is a very wide country, covering half of South America and different climate zones and seasons in Brazil are the reverse of North hemisphere states. Â The busy period for Amazon are July to September and December to January. Â These period have less rain, better time for fishing and easier observation of aquatic life. Â For Rio high season is summer from December to March, and the off season is May to October. The official language is Portugese, although English is widely spoken in tourist areas.